Home/News/What are the types of fruit (apple) processing? What are the types of fruit processing? Fruit processing is wide-ranging and has a wide variety of products. According to the production method and product characteristic, fruit products can be divided into the following six categories. Dried fruits: Such product is made by the dehydration of fruit, such as raisins, dried apples, dried peaches, dried apricots, dates, persimmon and so on. Sugar fruit: The product is made of high-concentration sugar and fruit. These products contain more sugar. Preserved fruit, candied fruit, fruit puree, jelly, jam, fruit skin, as well as the use of salt, sugar and other ingredients processed cold fruit products such as plum, tangerine peel and so on. Fruit juice: Such products are obtained by squeezing the juice of the fruit, then sealing and sterilization. Its flavor and nutrition are very close to fresh fruit, which is the best preserved natural ingredient in fruit processing. 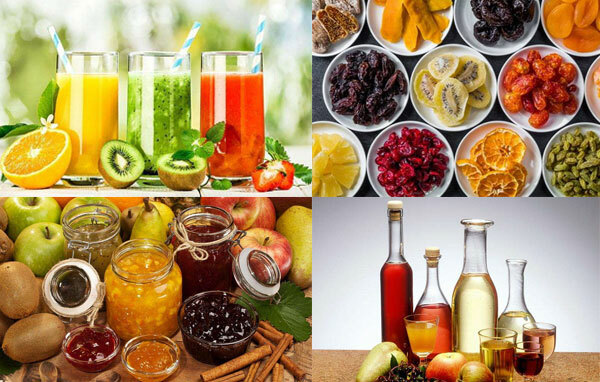 According to the different production process, they are divided into clear juice, turbid juice, juice concentrate, juice, fruit juice syrup, fruit juice powder and solid drinks. Canned fruit: After the fruit is processed, it is filled into a certain container, degassed and sterilized by high temperature, that is, the so-called canned fruit. Because of its good sealing performance, microorganisms can not be immersed, to be long-term preservation. Such as syrup canned apples, canned sweet syrup and so on. In addition, juices, jams, jelly, wine, dried products, sugar products are often used canned containers packaging. Fruit wine: Using natural or artificial yeast, the juice or fruit pulp is fermented by alcohol, and alcohol and carbon dioxide are produced, and alcoholic beverages are formed. Such as wine, cider, orange wine, brandy, champagne and other fruit preparation wine. Fruit vinegar: The fruit is fermented by acetic acid to make fruit vinegar. Fruit vinegar drawn a very wide range, almost all of the fruits can be done vinegar. Such as apple cider vinegar, persimmon vinegar. Apple juice concentrate. The concentrated apple juice has the advantages of high sugar, small volume, light weight and convenient storage and transportation. It can be further processed into apple juice, cider, apple cider vinegar and other products. 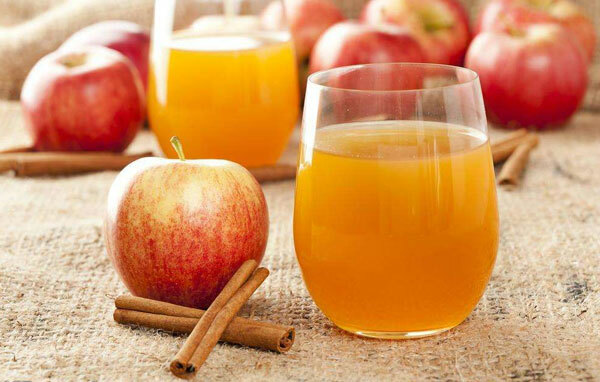 Apple juice concentrate is an important direction for deep processing of apples. Apple muddy juice and apple juice muddy concentrate. With the continuous improvement of people’s living standards, the pursuit of green, nutrition and health has become another fashion focus. In North America and Europe, NFC is becoming more and more popular. Apple fermented beverage. 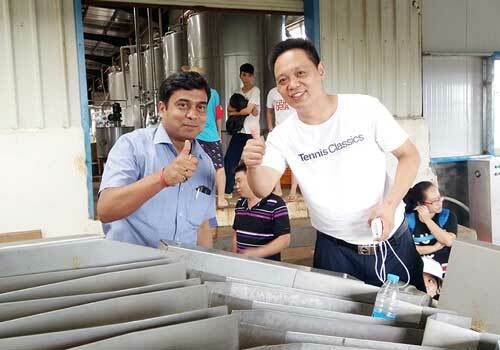 It is alcoholic fermentation, acetic acid fermentation of fruit drink, including cider and apple vinegar. Fruit wine is the future development direction of wine and beverage, which can digest and deal with apple, solve the raw material of wine and reduce the consumption of grain. Apple fermented juice. The special volatile aroma of apple fermented juice products is different from the volatile aroma of other fermented drinks. It mainly comes from the metabolites in the growth of yeast and therefore is also called “alcohol-containing alcoholic beverages”. Apple pectin. Apple pectin is a hydrophilic colloid that not only has important physiological functions but also is widely used in the processing of fruit drinks, jams, ice creams, jelly and many confectionery products as a food processing ingredient. Apple powder. The low water content can prolong the storage period and reduce the cost of storage, transportation and packaging. The demand for raw material is not high, especially for the size and shape. Extracting polyphenols from apples and developing health food. Using apple raw materials to develop dietary fiber health food.